First becoming commercially available in the 1990s, wireless routers were a breakthrough in home networking connectivity. Standard routers convert cable or other non-wireless internet inputs into a local area network (LAN) inside a home or office. Using a standard router to create a wireless local area network gives authorized users the freedom to enjoy internet connectivity anywhere within the transmitting range of the router. Unfortunately for gamers, many low-cost standard routers fail to provide the always-on, high-speed connectivity necessary to enjoy today’s most popular games. Fluctuations in bandwidth demand by other devices on the network and the shortcomings of different transmitting frequencies can cause lag, interruptions, and other connectivity issues that can seriously degrade the enjoyability of competitive gameplay. Thankfully, advanced game routers are designed to provide outstanding security, improved coverage, and tailored allocation of bandwidth to ensure that gamers can enjoy smooth, interruption-free play while still providing wireless and wired LAN coverage in their home or office. After carefully assessing all of the top gaming routers for sale on the market today, we have assembled this list of some of the best available products. 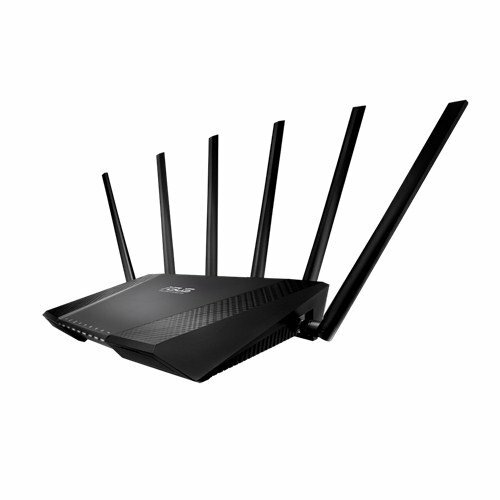 The NETGEAR Nighthawk X4S is an outstanding dual-band gaming router featuring Quad Stream (4×4) Wave2 WiFi technology for improved range. With up to 160 MHz per channel and a powerful 1.6 GHz processor, gamers can enjoy lag-free gaming without compromising access to other users. The NETGEAR Nighthawk X4S comes with the Netgear genie software for customization. Two USB 3.0 ports allow for charging mobile device or connecting peripherals while Multi-User MIMO technology allows for smooth bandwidth allocation between devices. The TP-Link AC1200 gives gamers dual-band (5 GHz and 2.4 GHz) coverage for faster and more extensive connectivity anywhere in the house. The TP-Link AC1200 comes with four Gigabit ethernet ports ideal for exciting LAN parties while the included Tether app allows for precise customization of the router’s setting. The TP-Link AC1200 includes access to the manufacturer’s website for easy firmware updates and the router is designed to be used with the VPN server of your choice for enhanced security. The TP-Link AC1200 also comes with two USB 2.0 ports for connecting to peripherals or charging mobile devices. Looking like a futuristic spider on your desktop, the ASUS RT-AC5300 offers dynamic switching to provide optimal connectivity via three different frequencies (two 5GHz and one 2.4 GHz). With built-in access to the WTFast GPN and proprietary AiProtection, gamers using the ASUS RT-AC5300 can enjoy highly secure private networking ideal for multiplayer fun. The latest generation 802.11 ac wireless standard and quad technology delivers high-speed, uninterrupted coverage up to 5,000 square feet in size. The ASUS RT-AC5300 has its own built-in game accelerator powered by a 1.4 GHz dual-core processor to handle even the heaviest data loads. 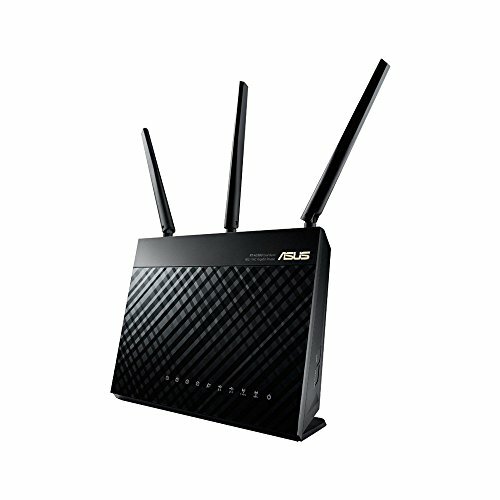 The ASUS RT-AC5300 also comes with the ASUS Router App to customize your router to provide an optimal gaming experience. From one of the best-known names in routers, the Linksys AC2400 uses proprietary Beamforming technology and dual frequencies to deliver faster wireless networking speeds. 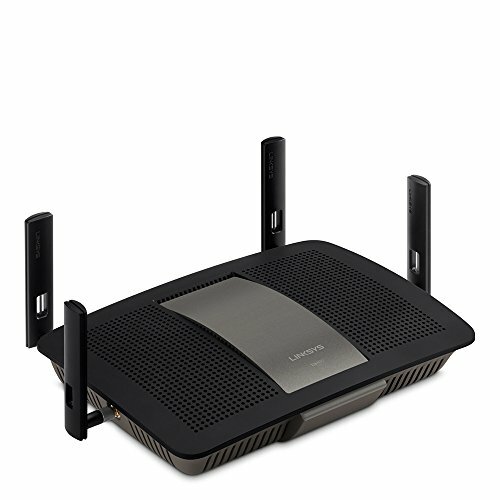 The Linksys AC2400 has four adjustable external antennas that combine with quad band transmission technology to ensure comprehensive coverage. Including four Gigaport ethernet connections and one eSATA port, the Linksys AC2400 is ideal for hosting exciting LAN parties. Looking much like a futuristic red spider, the D-Link AC3200 delivers blazing fast wireless internet using three different frequencies and AC SmartBeam technology that tracks connected devices and adjusts connectivity issues on the fly. The D-Link AC3200 comes with built-in intelligent QoS for seamless bandwidth optimization while the six high-performance external antennas ensure seamless coverage. The D-Link AC3200 comes with 1 USB 2.0 port and 1 USB 3.0 port for connecting peripherals or charging mobile devices as well as 4 Gigabit ethernet ports ideal for home LAN parties. The ASUS Dual-band Wireless-AC1900 delivers plenty of punch in an elegant black design. One of the fastest gaming routers on the market, the ASUS Dual-band Wireless-AC1900 uses a powerful 1 GHz dual-core CPU to pump out data at a lightning fast 1,900 Mbps. The ASUS Dual-band Wireless-AC1900 comes with 4 Gigabit ethernet, 1 USB 2.0, and 1 USB 3.0 ports for enhanced connectivity. The latest-generation 802.11 AC Wi-Fi standard and TurboQAM technology ensure lag-free, high-speed wireless connectivity. 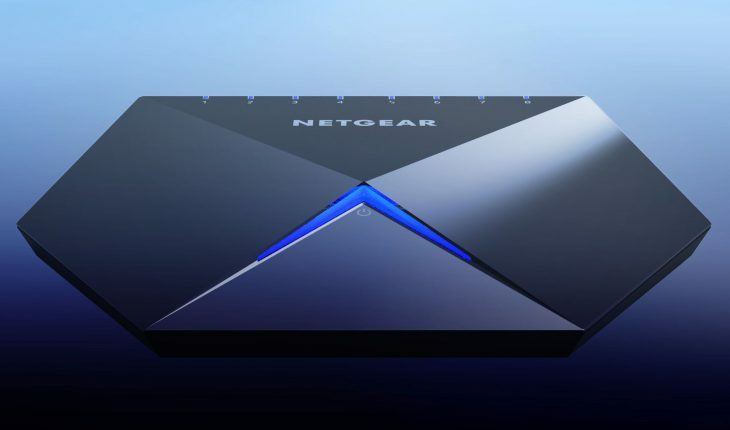 A favorite amongst many professional gamers, the NETGEAR Nighthawk S8000 is an outstanding gaming router for home LAN parties thanks to its eight Gigaport ethernet ports. The built-in QoS bandwidth management ensures that data is sent where it is needed most while the plug-and-play design makes set-up a snap. The NETGEAR Nighthawk S8000 can be highly customized via a browser-based interface and two one-touch presets make it simple to get an optimal experience. 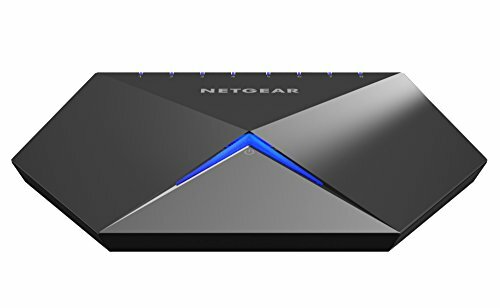 The NETGEAR Nighthawk S8000 has a futuristic zinc-alloy design with a no-slip base, making this gaming router an aesthetically pleasing addition to any desktop. Port prioritization ensures that exciting gameplay is never compromised by other devices on the network. An icon on many gamer’s desktops, the NETGEAR N600 comes with the powerful Netgear network manager to allow for easy monitoring of traffic as well as customizing device access and bandwidth allocation. The dual band 2.4 GHz signal allows for reliable and fast wireless connectivity. 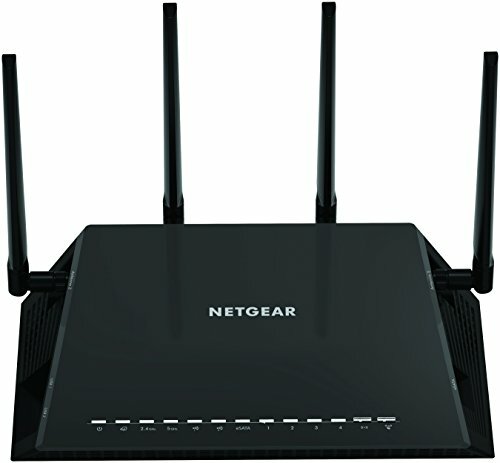 The NETGEAR N600 can be set up to provide multiple simultaneous networks, ideal for gamers who want a dedicated network that takes priority over other connected devices. 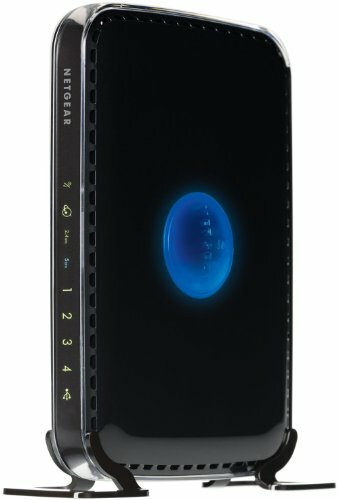 A simple button push conserves energy while the Energy Star compliant power supply reduces the environmental footprint of the NETGEAR N600. Optional parental controls and usage meters prohibit unauthorized access to unsafe content and data overages. An excellent choice for gaming enthusiasts, the Cisco-Linksys WRT330N uses Wireless-N (802.11 n) Wi-Fi technology to eliminate dead spots and deliver robust coverage throughout your home or office. Built-in MIMO technology reduces lag while QoS ensures optimal bandwidth allocation ideal for dedicated gameplay experiences. The Cisco-Linksys WRT330N comes with four Gigabit ethernet ports for home LAN gaming excitement and 128-bit encryption ensures your data is kept private. The Cisco-Linksys WRT330N delivers up to 300 Mbps of wireless coverage and the futuristic shiny black design makes a great additional to any gamer’s desktop. 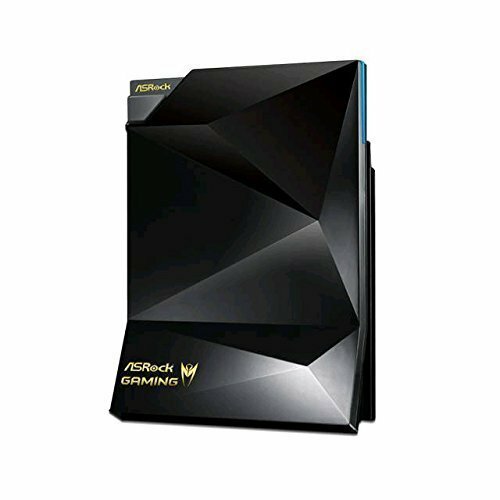 Looking something like an alien device with its unique, angled design, the ASRock Gaming Router has everything a gamer needs to enjoy high-speed, uninterrupted connection to the internet. The ASRock Gaming Router has eight external antennas that deliver quad 802.11 ac Wi-Fi signals at both the 2.4 GHz (800 Mbps data throughput) and 5 GHz (1,733 Mbps data throughoutput) range for lightning-fast response. The ASRock Gaming Router comes with the ASRock router app for precise customization while Beamforming technology tracks devices in real time to optimize bandwidth on the fly. These days, most homes already depend on a router for their wireless networking names. While a standard router may be the most affordable option, it is restricted to providing unlimited bandwidth to every user on the network, potentially causing drop-offs and other critical connectivity issues with games if there are high bandwidth demands from non-gaming computing devices. A quality game router will provide all of the standard services of a plain vanilla router while offering up a bevy of extra features to ensure an unparalleled gaming experience. Most game routers allow for bandwidth allocation to be customized, giving games priority over competing uses like streaming video and downloading large files. Gaming routers often have more ethernet ports to allow for multiple computers to enjoy a cabled connection to the router for multiplayer home gaming parties. Some gaming routers also have USB connections ideal for peripherals like printers, scanners, and flash drives to connect without compromising the wireless bandwidth being delivered to the gaming computer(s). Many gaming routers include built-in VPN software to reduce the computational load on gaming PCs and allow for the creation of high security local virtual private networks (VPNs), sometimes referred to as Gamers Private Networks (GPNs). As an additional benefit for gamers making split-second decisions while playing, many game routers offer two or even three-band frequency coverage along with dynamic switching. As a rule of thumb, the higher the frequency, the faster the response between the router and the computer but the shorter the distance a signal can be transmitted, so today’s advanced game routers use algorithms to switch between frequences based on load, signal strength, and speed to ensure a smooth, interruption-free gameplay experience. The cheapest and most secure way to ensure a high-speed, uninterrupted connection to the internet is by physically connecting a cable from your computer to a standard router and disabling access to other devices in your home or office. But for gamers who have physical limitations preventing a hardwired connection to a router or who want to share network access with other devices, a quality game router is the best solution. Many gaming routers list having connectivity via bands or frequencies such as 5 GHz (gigahertz) or 2.4 GHz. This number refers to the frequency of the wireless transmission. The higher the frequency, the faster the data signal can transmit, but higher frequency travel less distance. 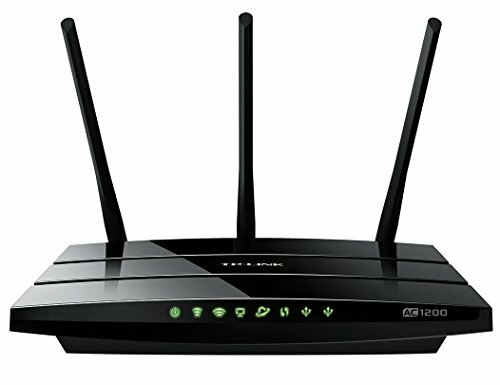 A gaming router advertised as being dual-band, tri-band, or multiple bands refers to the fact that it transmits wireless signals across multiple frequencies in order to provide more comprehensive coverage. Many game routers have dynamic switching capabilities to automatically switch to the best frequency based on load, transmission speed, and signal strength. Having additional ethernet ports is essential for any gamer wanting to host LAN parties. Other features to look for include USB ports which can be used to connect peripherals like flash drives, external drives, or printers without compromising wireless coverage to your gaming devices. In addition, many mobile devices can be charged via the USB port. Depending on which gaming router you choose, you may have access to mobile apps, built-in firmware, or PC software programs that allow you to customize bandwidth allocations and other features on the router. Other gaming routers have built-in security software as well as VPN apps that allow for the creation of secure virtual private networks without adding computational loads to the primary gaming device(s). In order to enjoy the very best gaming experience possible, owning your own dedicated router is essential. Quality gaming routers ensure that your internet bandwidth stays exclusively focused on providing lag-free access to multiplayer servers in order to prevent frustrating delays and other connectivity issues. Today’s advanced gaming routers allow users to customize their experience so that they get outstanding security, uninterrupted coverage, and precise bandwidth tailoring. Whether you plan on enjoying exciting multiplayer gaming against online opponents or hosting your own LAN party at home, owning a quality gaming routers will take the experience to the next level.